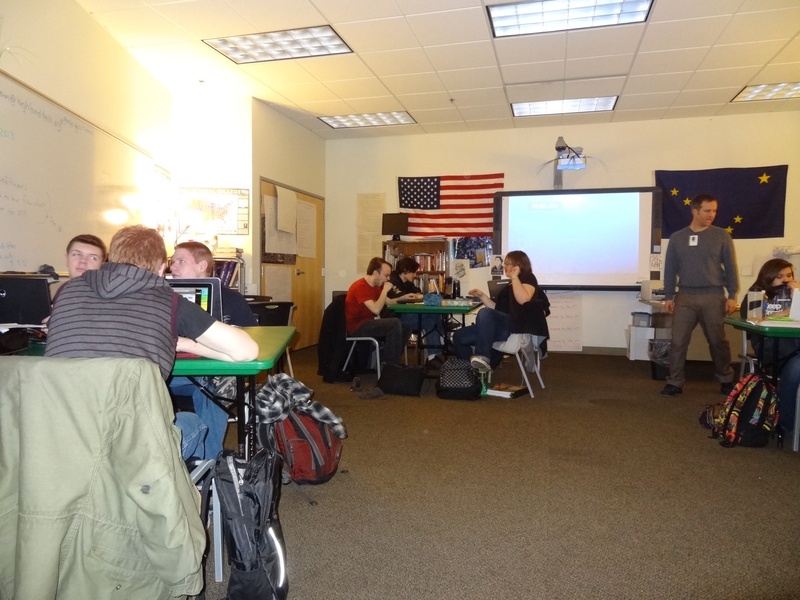 On my trip to San Francisco I decided to travel to Alaska to take a look at what they are doing at Highland Tech Charter School. Since my colleague Oddvar Skråmestø was there before Christmas and seemed to be really thrilled with what he saw there, I thought it might be worth the trip. And I have been intrigued about the RISC model ever since Richard DeLorenzo keynoted at our conference in Oslo in 2010. I like the school’s slogan “Educating for Leadership, Educating for Life”, it should be the main goal of every high school, regardless of country. To explain the RISC model I quote from the school blog: Highland Tech is a competency-based school where mastery learning is expected, free of the traditional seat time model of education. Integration of technology devices, software, and web-based programs are integral to student learning. Students move at their own pace while developing 21st Century Skills in a learning environment that promotes innovation through risk taking. Staff is also encouraged to think outside the box in order to provide top-notch teaching and learning experiences for students. Shared Leadership and Continuous Improvement (hallmarks of our school) facilitate a reciprocal relation where all members of our community are active learners. Change is never easy, especially in a system that has been in place for over 150 years and we will defend it even if we know it doesn’t work because it is all we know. This is the problem most schools are facing, we know our system is not working for all kids, still we persist on teaching students the same way. Lectures, exercises, tests. Even with all our knowledge about the value of formative assessment we insist on summative assessments moving forward regardless of leaving students behind. 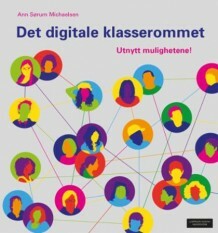 When trying to fix our system, the Norwegian government adds fun courses middle school kids can chose from, instead of changing the way required courses are taught. 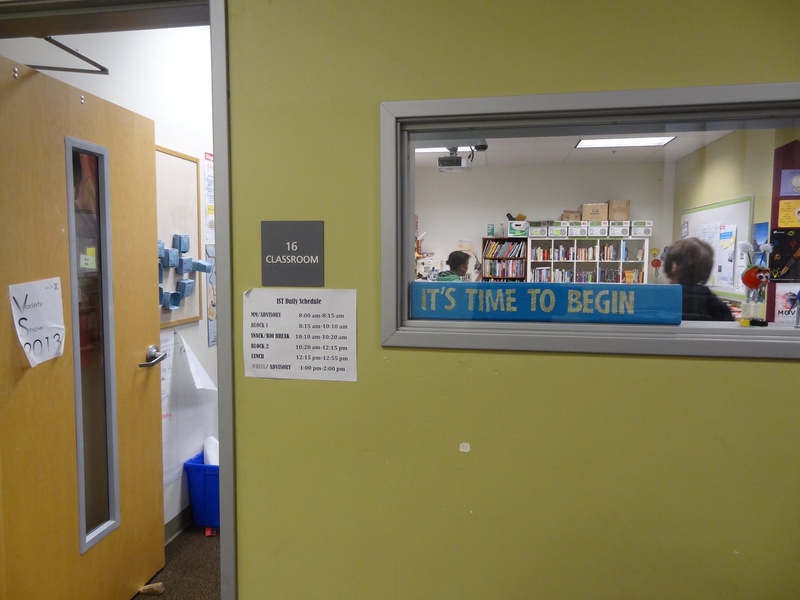 The RISC schools’ system is bases on standards and rubrics. You need to master a number of standards in order to graduate and you use the rubrics to help you assess your mastery of each standard. Many standards can be worked on in a single assignment making it a cross subject assignment. To be able to do this teachers in different subjects have to approve of the project before you start. No big tests are given and the students can pretty much choose how to present this to the teacher depending on standard and level they are at. This is an example of a reading standard level 6, analyzing themes: Analyzes, defends and connects theme(s) across texts. Analysis includes examining how the theme carries over time, and shows up in a variety of media/texts. It would seem to me that in the Norwegian system where we have specific competency goals in each subject area, this could be applicable. My heartfelt wishes for both my school as well as other schools in Norway is that we at least move away from the tests where students need to memorize facts from textbooks and answer questions made by teachers to a system where the students own the learning and ask the questions! Thanks to Ginger Blackmon and Laura Hilger for inviting me! To my two excellent student guides (can’t remember your names) and to Adam Robinson and his class of Social environments! Really appreciate your kind welcome and showing me how you work! Hope we can continue to work together on our Alaska project! And I look forward to seeing Ginger in Norway! Written in the skies on my flight from Alaska! Ann – It was a pleasure to have you on campus. Visitors to our campus are an important part of our continuous improvement efforts. It forces us to articulate the system in an understandable way so that others can learn and replicate. Further, it requires that those systems, which we talk about are observable. Simply put – it is imperative that are words and our action match. I also look forward to reconnecting in Norway in a few weeks. Thanks Laura and Ginger for your nice comments! It was great being there! 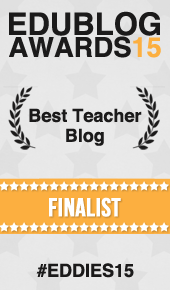 You both do a great job and so do your students! Had a lot of fun talking with the students!